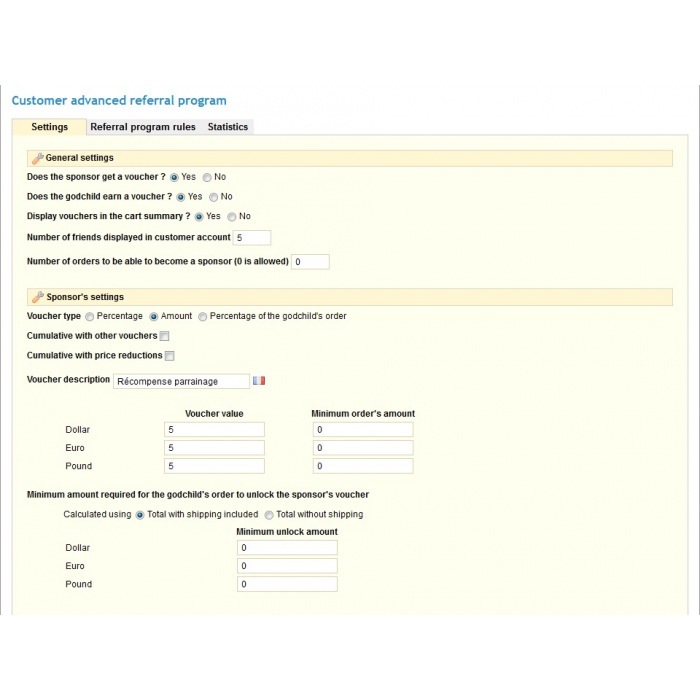 Get more customers with this module ! 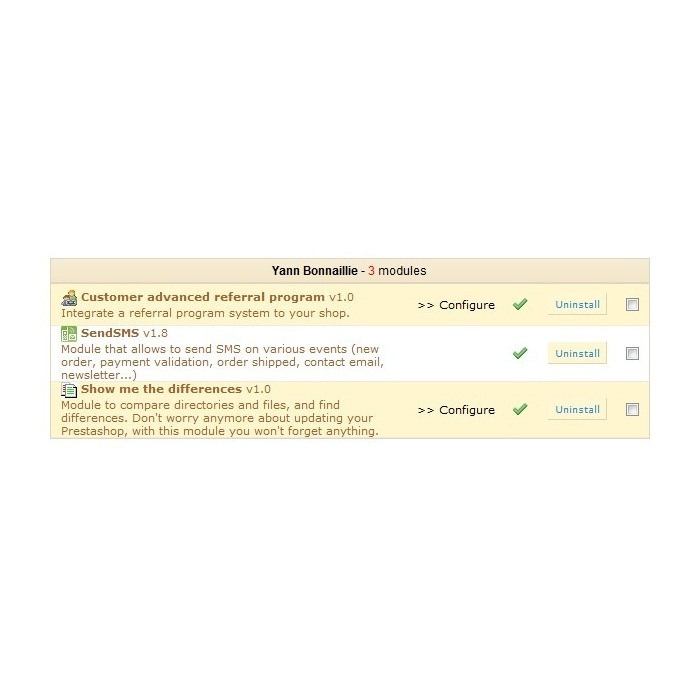 The module Advanced Referral Program allows you to add an Advanced Customer Referral Program to your shop, with new settings options. It is possible for a godchild to specify the mail of a sponsor, whereas the godfather didn't send him an invitation in advance. The sponsorship will still be recognized. The sponsor can give a direct referral link, without needing to give his email, and all visitors who register via the link will automatically become his godchildren. 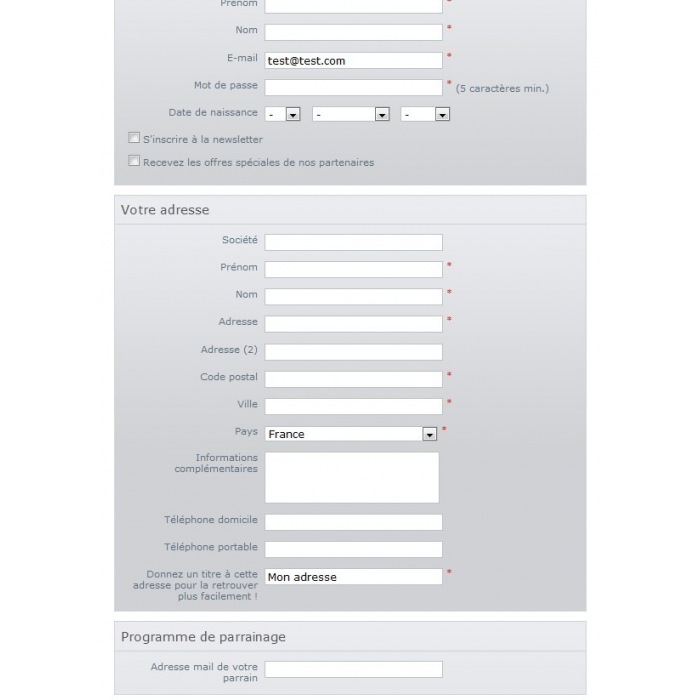 When the godchild receives a mail for sponsorship, and clicks on the link in the email, it arrives on the registration form, and his last name, email and the email address of the sponsor are already prefilled. Old sponsorships made using the original referral program module, are still available in this module (you have to install this module BEFORE removing the old one). 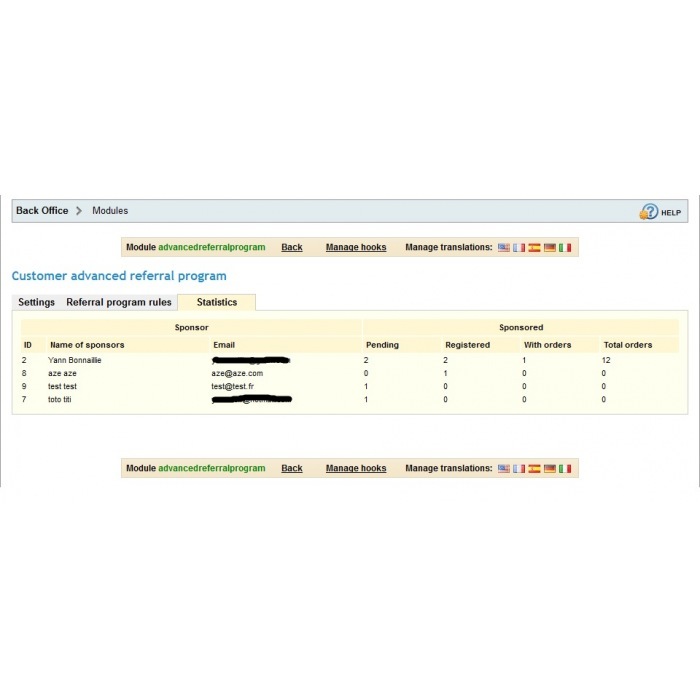 You wish to obtain additional information from your customers?Custom Registration is there for you !Simply add additional fields to the registration form such as Drop Down, text field, date, etc. 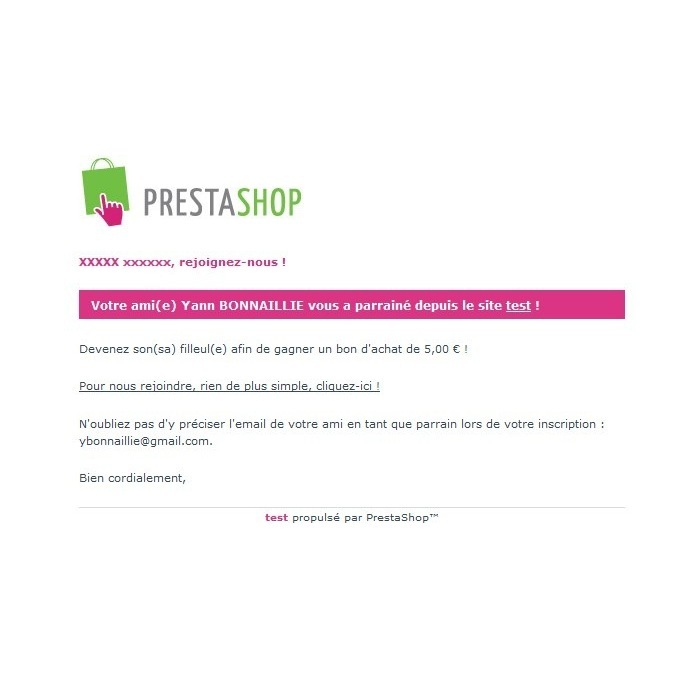 Improve customer satisfaction, increase sales and manage your shop efficiently, thanks to this module permitting to send text messages (SMS) to customers and to the administrator of a PrestaShop store.